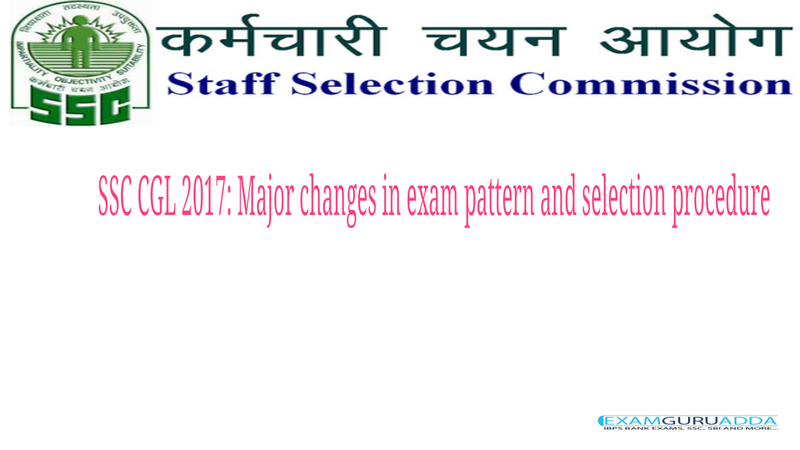 Staff Selection Commission (SSC) has released the Combined Graduate Level (CGL) recruitment notification on May 15, 2017. Online application has been started from May 16, 2017 and last date to apply is June 16, 2017 (up to 5 pm). The exam will be conducted in four stages — Tier -1, Tier- 2, Tier -3 and Tier – 4. Tier 1 exam will be conducted from August 1, 2017 to August 20, 2017. 1. Exam timing for Tier 1 has been reduced to 60 minutes from 75 minutes. SSC, for the first time conducted CGL exam in online mode in 2016 and kept the duration for tier 1 as 75 minutes which led to an increase in cut-off marks (from 102 to 137). The reduced time limit may lead to decrease in cut-off for this year. Post of Assistant Accounts Officer (Post code – $ and Grade Pay – 4800) has been introduced in the Department of Indian Audits & Accounts under CAG this year. 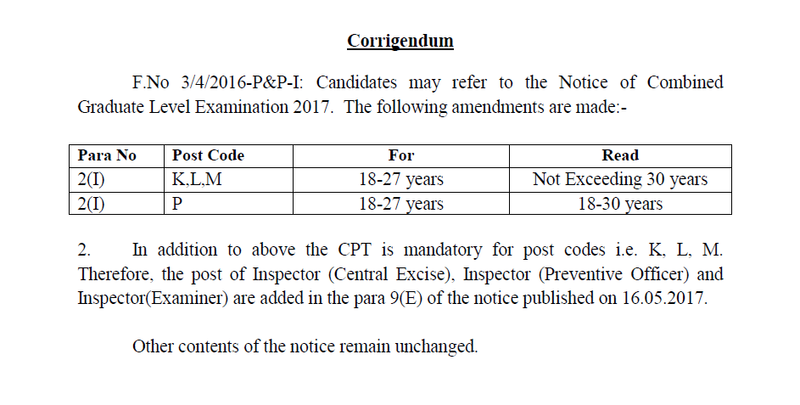 Earlier, the post of Compiler (Grade Pay – 2400) was mentioned in SSC CGL 2016 recruitment, but it has not been declared this year. 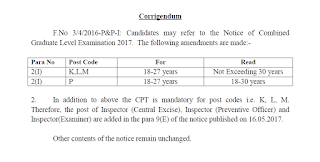 Note: The Post Code- B (for the Post of Assistant in Central Vigilance Commission) is missing in this year SSC CGL 2017 notification. It is expected that SSC will update it soon. 4. Confusion regarding age limit been increased from 27 years to 30 years? Many aspirants were confused regarding upper age limit for SSC CGL 2017, whether it is 27 or 30 years. Regarding the same there was a notification in The Gazette of India on December 26, 2016 that said the upper age limit for excise inspector, preventive officer and examiner will be 30 years. Overall there are no major changes in the exam syllabus and the tiers. However, as the timing is reduced, there With the reduced timing, the importance of speed and accuracy is expected to increase though. 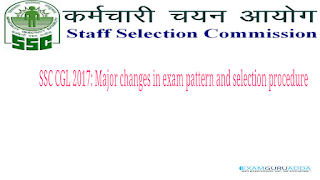 However, SSC has not released the details regarding number of vacancies which is expected to be declared in a month or two. Also, this is the second year for the exam being conducted online, hence aspirants are expected better execution and conduct of the exam.